Would your group, school, preschool, church, gym, workplace or organisation like to know more about a particular health topic? 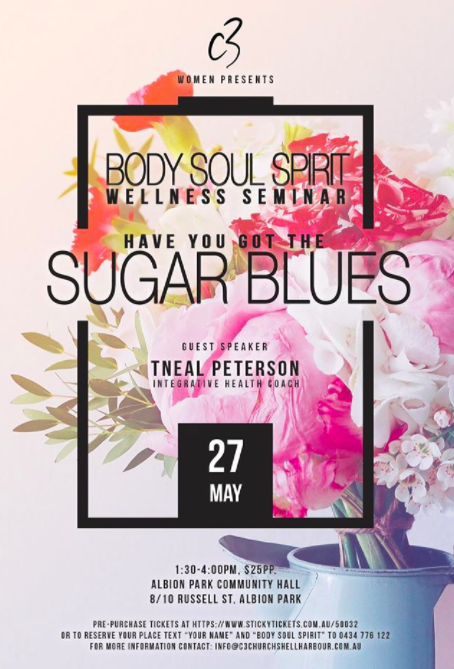 Book me in to speak on a range of health and wellness related topics including sugar secrets, cooking with kids, feeding fussy children, 12 steps to better health, gut health, the rushing women – how busyness and stress affects us or living a nurtured life! A topic that has really been on my heart for the last few years! Rush, busyness, never ending to-do-lists…what is the effect of it all on our body, on our mind and on our spirit? 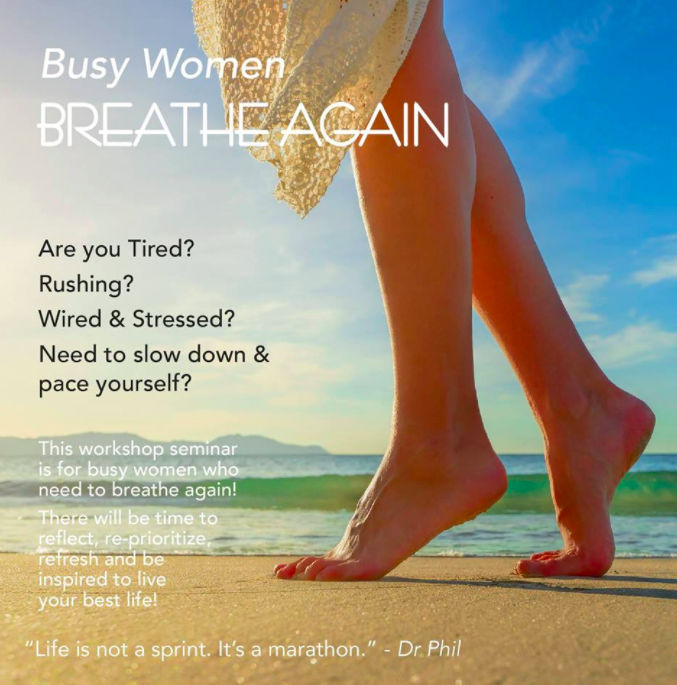 How can we slow down and breathe again with all the pressure and responsibilities we have upon us as women in today’s society? How do we switch off? 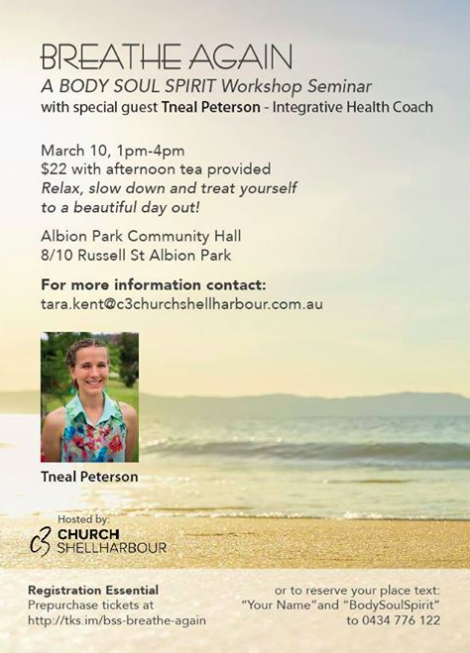 How do we allow our body the time it needs to rest, rejuvenate and heal? There is so much research now to show that rest is so important for us! But why is it so hard to stop and truely rest? I had a great time sharing at the C3 Women’s event last year and again this year!